was one of the partners in the Anco Group ( Norway ). That evening ten Norwegian freighters attempt to break out from Gothenburg, to reach Leith, Scotland. British Warships FAULKNOR, ESCAPADE, ESKIMO, WALLACE, VANITY and VALOROUS were sent to assist the merchant ships to leave. German Armed Trawlers V 908, V 1604, V 1609, V 1612, V 1613 and German Submarines U 591, U 592, U 702 and U 703, together with Luftwaffe bombers were sent to prevent the ships from leaving. The crews were taken prisoner and allowed to leave on the Swedish cruiser GOTA LEJON. Ten ships left Gothenburg, Sweden. Six of the ten were lost. BUCCANEER ; A. O. Andersen Shipping Co. A/S, Oslo. CHARENTE ; Fearnley & Eger, Oslo. GUDVANG ; H. Gjerpen, Oslo. RIGMOR ; Johan Stenersen, Oslo. STORSTEN ; Rafen & Loennechen, Tønsberg. Two of the ten made it to British waters. B.P NEWTON ; Tschudi & Eitzen, Oslo. LIND ; J. O. Odfjell, Bergen. Two of the ten returned to Sweden. DICTO ; E. B. Aaby, Oslo. LIONEL ; Alf Mohn, Oslo. Two of those ten ships encountered the Cornish Coast. Split into two, off The Lizard Point. Total Wreck, near Penberth Cove. 1942 1st April : Lost in Operation Performance. Fired on by German warships, the Buccaneer was scuttled by the crew, off Maseskjaer, Sweden. Position 58.05N:11.05E. Built 1935 Porsgrunds mek. Værksted. 6 miles off Kaeringen. Position 58.05N:11.05E. 1470 brt; 877 nrt; 2550 dwt. 1936 April : Renamed GUDVANG ; D/S A/S Gudvin (H.Gjerpen), Oslo.. Fired at and sunk by a German warship, in the Skagerak. The crew were captured and sent to a German concentration camp. 140 rpm twin propeller, 4 blade, diameter 3.352m. Sunk by German torpedo from a bomber. Built 1900 Harland & Wolff , Belfast as liner SUEVIC ( sister RUNIC ). An earlier RUNIC became Haldor Virik’s ship GUVERNØREN. Maiden voyage to Australia 23rd March 1901. The stern section was salvaged and she was rebuilt. 1908 4th January : She resumed commercial service on schedule. Finnvahl A/S of Tonsberg for £35,000. Converted into a whale factory ship at Fruppe's Germaniawerft, Kiel. scuttled by her crew, off Maseskjaer, Sweden. Position 58.09N:11.04E. Built 1926 Barclay Curle & Company, Glasgow; Launched 12th May. Original Engines : 4 cylinder 2SCDA Maclagan oil engine, 24.5ins x 44ins, 2,700 bhp by North British Diesel Engine Works (1922) Ltd, Glasgow. 1928: Unhappy with the reliability of the original engine, the ship was re- engined at the builder’s expense with a conventional Doxford engine. Bombed and struck a floating mine 32 miles S of Kristiansand. Scuttled by crew later that day when vessel was attacked by a German patrol boat. Position 58.05N:11.05E. Built 1940 Kockums Mekaniska Verkstads A/B, Malmö, Sweden. 1942 Master J.W. 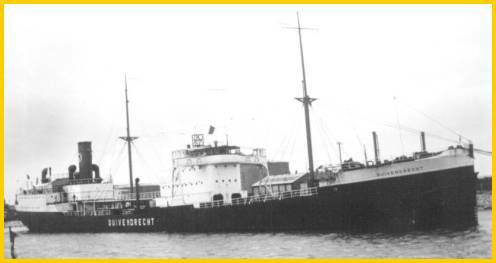 Calvert succeeded in reaching Leith, the designated destination, on the 3rd April, with 71 people on board; the ships BP NEWTON and LIND were twice attacked from the air and had an encounter with a small German Convoy. Chartered to the American company Gulf Oil. 1943 B.P.NEWTON ( Skibs A/S Navales ), a Norwegian tanker, was on a voyage from Curacao to Table Bay with aviation spirit. She was was torpedoed by a German submarine on 8th July, off the coast of French Guiana. The tanker caught fire and eventually sank. Twenty-two of her crew died on board and one man died of injuries soon after being picked up. 1940 9th April : Held at Göteborg. Managed by Anglo-American Oil Co. Ltd., London. and later handed to Nortraship. 1947 July : Sold to Cie. Des Transportes Maritime de Goudron, Paris, Fr. It was the usual 'wreck weather' for the western cliffs; hazy with heavy ground seas, the aftermath of a hard south-west gale. Shortly after one o'clock on the morning of November 1st, 1948, the coastguard on watch at Treen saw the lights of a motor vessel emerge from a fierce squall of rain and head straight for the surf beating upon Pednevounder sands. In response to the rapid blink of his Aldis lamp, she turned eastwards and vanished round Logan Rock headland. Though she made no signal, either to acknowledge the warning or to ask for help, he called out Treen LSA company and another coastguard and went down into Penberth Cove. There was no sign of the mysterious ship, but the wind was thick with the stench of fuel oil. Suddenly he saw a young man washing about in the surf and despite almost being swept away, dragged him out and carried him to a nearby cottage. Search parties began to scour the cliffs. A lifejacket marked 'ST GUENOLE-ROUEN' was picked up on the rocks near the cove, and at dawn a vessel of about 500 tons was found bottom up beneath Gribba Point, less than half a mile away. 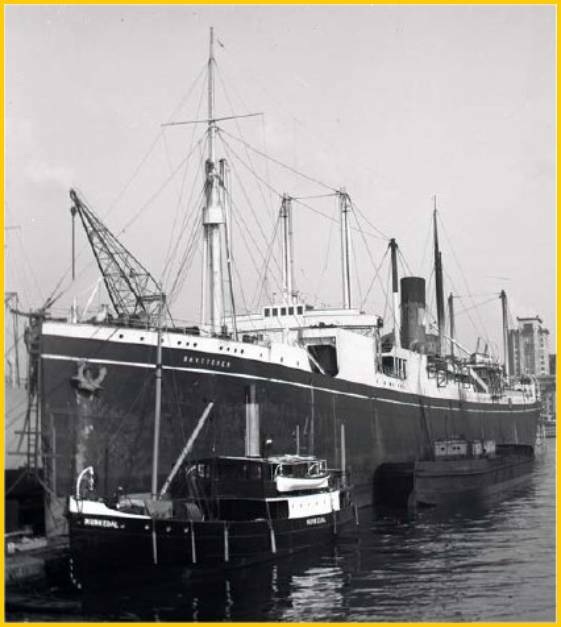 The ST GUENOLE, a steel tar tanker owned by Cie Mar de Transport de Goudron of Rouen, bound in ballast from Nantes to Irvine on Clydeside with a crew of twelve, was a total wreck. Twenty-three-year-old Andre Fourcin, the sailor saved by the coastguard, was the sole survivor. The ST GUENOLE rusted away beneath the Penberth cliffs. Diesel Engines 680/1500 VG-6; 5200 ihp; 4300 bhp; 112 rpm. 1940 In Swedish waters from April. 1942 Attempted to reach Leith April 1942, but returned to Gothenburg. 1970 Broken up in Shanghai. Built 1926 Odense Staalskibs, Odense, Denmark. SA Suisse, Geneva, Switzerland. Panama Registration. Arrived there on 17th March 1964.